This is what I get...both for being out of the game for too long, and for allowing too much time to pass between Japan visits. Things like "Ska in the World" happen. 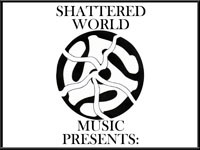 This Japanese label began to release a whole host of ska albums and singles, some original, some that had been previously released elsewhere. Part of this massive wave of releases has been a steady stream of very limited 7"s (limited to 300 copies in most, if not all, cases). This was the first single that started making collecting Slackers vinyl difficult. 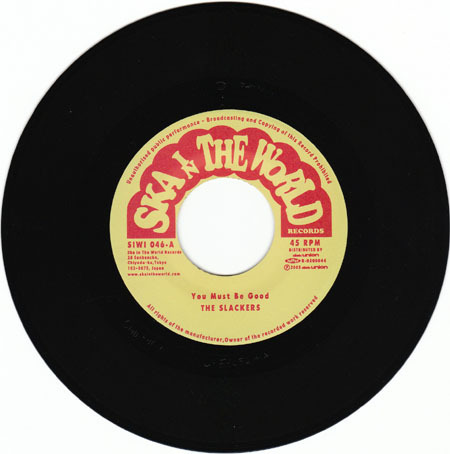 Ska in the World released three different Slackers singles. Black vinyl.